Stung by the deadliest ever attack on the Army in Jammu and Kashmir, Director General Military Operations Lt Gen Ranbir Singh on Sunday called up his counterpart in Pakistan expressing "serious concerns" over Pakistani markings found on the equipment used by four "foreign" terrorists suspected to be belonging to Pakistan-based terror group Jaish-e-Mohammed. The attack at the administrative base of the 10 Dogra, which top army officials described as a "serious setback", was launched at 0530 hours and ended at 0830 hours with the killing of four terrorists and martyrdom of 17 soldiers. At least 20 other soldiers are injured including some very seriously. "All four killed were foreign terrorists and had carried with them items which had Pakistani markings. Initial reports indicate that the slain terrorists belong to Jaish-e-Mohammed tanzeem," Lt Gen Singh said in a brief statement to the media at the South Block in New Delhi. He said that the terrorists had fired incendiary ammunition along with automatic fire of small arms that led to army tents and temporary shelters catching fire. "There have been a total of 17 Army fatal casualties. Of these, 13-14 casualties have been due to these tents/shelters having caught fire," he said. The senior army officer, in charge of the force's operations, asserted that the Indian Army remains prepared to thwart any nefarious designs and any evil designs of the adversary shall be given a befitting reply. The DGMO said that four AK 47 rifles and four under barrel grenade launchers along with a large number of other war like stores were recovered from the group of heavily armed terrorists. He said that the operation for clearance of the area is still in progress and a very deliberate search is being carried out in the entire area around the military complex in Uri. "As such, complete details of the operation are not yet available. 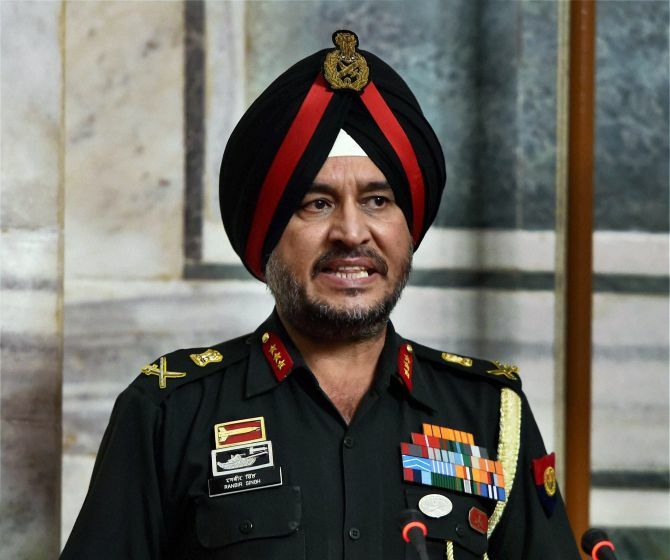 However, the operation is being carried out by the Indian Army in a very professional manner and the army personnel have displayed exceptionally high standards of courage and gallantry while neutralising the terrorists," Lt Gen Singh said. Amid reports that intelligence agencies had warned of a possible attack, he said all the intelligence agencies are working in close synergy with the security forces and regular intelligence inputs are received from concerned agencies and necessary action is being taken accordingly. He said Army chief Gen Dalbir Singh Suhag has visited the site of operation and taken an "on the ground" assessment of the situation. Defence Minister, who too visited Srinagar, will be updated by Suhag on the situation. "We salute the supreme sacrifice made by our brave soldiers following the highest traditions of Indian Army," he said.